Running a busy warehouse, factory, or mine can be extremely challenging, especially when you have to monitor the safety of your employees continuously while trying to remain focused on more productive tasks. However, if a staff member sustains an injury due to your negligence, you could lose a significant portion of your profits by paying out compensation. However, even though keeping your team safe at all times is hard enough, you also need to keep your assets secure. It's a good idea to go to great lengths to keep your warehouse secure, and that could mean installing the likes of CCTV and alarm systems, employing 24-hour security staff, and locking all openings outside of working hours. However, one of the best ways to keep unwanted intruders out is to hire professional security fence installers in Clayton. As long as you hire fencers with a sterling reputation and that only uses high-grade, durable products for fencing, you can feel confident that your premises are unlikely to be on a criminal's radar. At Guardian Fencing, we've helped businesses of all sizes protect their properties and assets with our high-quality fence solutions since 1994, and we can do the same for you. Plus, because we understand that you need your new fence installed as quickly as possible, we hire highly-trained individuals to do the job efficiently and professionally. In fact, to ensure a superb installation every time, our founders remain hands-on and oversee our projects. 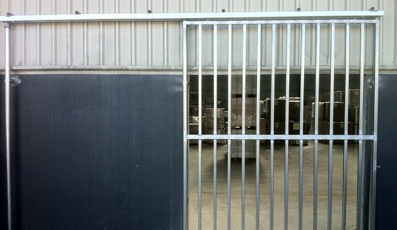 If you want a company for fence facilities in Clayton, we're the company to call. What's the Most Suitable Fence Installation for Your Clayton Business? 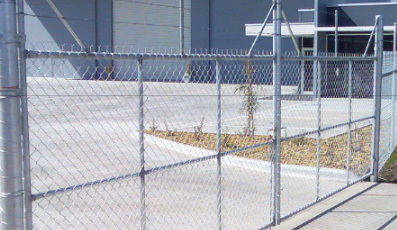 Chain wire fencing is durable – We use extra strong galvanised steel to make our products, which means criminals will have to try extremely hard to penetrate the chain link fence surrounding your premises in Clayton. If you purchase fencing from us, you can feel confident that thieves won't gain entry to your property by going through your fence. 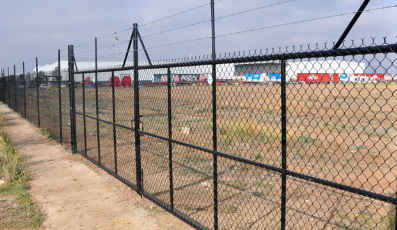 We can customise our products – As standard, our chain link boundary fencing is 1800mm high, though the three rows of barbed wire take the total height to around 2300mm. Because of this, criminals also can't find a way over your fence to break into your property. Plus, when required, we can customise our products to suit your preferences. Quick installation – We know that time is of the essence when it comes to your premises' security, which is why we guarantee a fast installation. Our installers are highly trained and know how to finish the job professionally and efficiently. At Guardian Fencing, we want our customer service skills to be on par with the quality of our products, which is why we provide obligation free quotes in under 24 hours. If you want high-quality fencing to secure your property, contact us today.